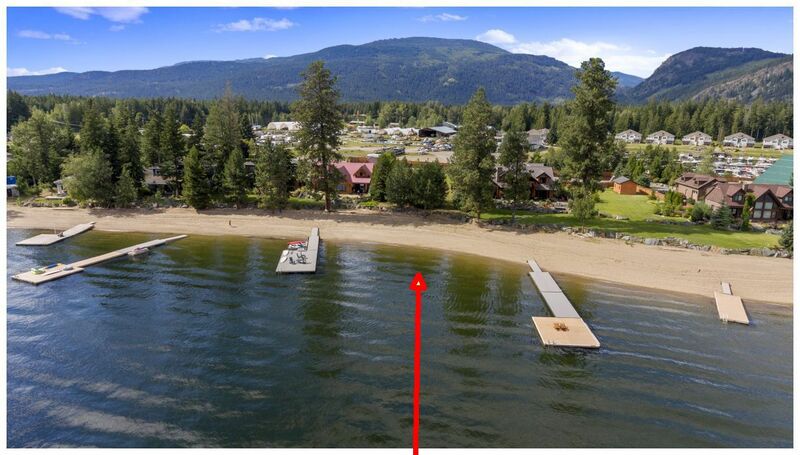 SHUSWAP LAKE WATERFRONT LOT! This 76 Ft x 236 Ft gently sloped flat waterfront lot is the perfect building location right in the heart of Scotch Creek. Build your dream home on this 0.4 Acre lot with perfect swimming beach and views of Copper Island. Centrally located in The Estates of Captains Village this small community of 6 strata owns offers a bare land strata ownership whereby you own your own lot & then share in the services with paved cul-de-sac road. Fully serviced with underground hydro & telephone, a drilled water well & sewer hookups at the lot line. Architectural guidelines ensure a high standard of building in this high end neighbourhood. No time frame requirement to build. Walk to amenities such as Grocery store, coffees shops & services. Close to marina & boat launch too. See more info here at www.BIGRob.ca including a drone video presentation, building scheme & Lot plan then call Rob McKibbon at 250-804-6288 or SOLD@BIGRob.ca OR Colist agent Greg Janz, Homelife Benchmark Realty (Langley) at 604-530-4141. Thanks for your interest! Fully Serviced: Property comes with all services including underground Hydro & Telephone; Water well & Sewer hookups at lot line.